Emergency Roof Repair - Svaras Roofing Inc.
Svaras Roofing Inc. offers emergency roof leak repair services to assist our customers in need outside of normal business hours. We are the emergency roof repair experts, no matter the season, to ensure you’re not left in the cold, or the rain, sleet or hail. So, play it safe and keep Svaras Roofing Inc. contact information in your phone (847) 639-7952. 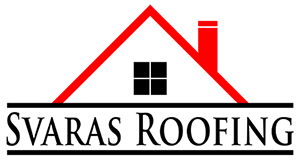 Svaras Roofing Inc. is available to help you with all of your roof repair needs. We only use the finest materials and proven methods to get your roof back in working order, and we’ll do it professionally and promptly. We have a reputation for honesty and excellent workmanship, and those things mean a great deal to us. It’s one of the reasons our clients keep coming back to us again and again for all their roofing and roof repair needs. We are equipped and experienced in all types of roofing. We understand the need for quick and efficient service when dealing with an emergency roof repair. Depending upon when the emergency occurs, these situations can mean damage to your property, harm to your home, and even injury to your family. None of these are acceptable side effects to a roof in need of repair, not when Svaras Roofing Inc. can have the problem resolved in a safe and efficient manner. When emergencies strike, whether it’s storm damage or some other culprit, we will be there to assist you. We’ll even help you with your insurance claims. Let us get started while you call your insurance company and file your claim. We can send a detailed report to your adjuster addressing any of the hard-to-see structural issues that might be present. With our level of expertise and years of experience, you can rest easy knowing we’re on your side through the entire process. Many building owners in the Chicagoland area make the same mistake during the winter months when snow builds up on their rooftops. They hire inexperienced, cheap labor to handle their snow removal needs, and, unfortunately, it often comes back to haunt them. Without the knowledge of the specific roofing system, its strengths and weaknesses and best practice for maintenance, there is a serious risk of inadvertent damage being done to the roofing material. This can lead to degradation, mold growth, and structural weaknesses that can’t even be seen unless you know exactly what you’re looking for. At Svaras Roofing, we have been helping our neighbors with winter roof leaks.